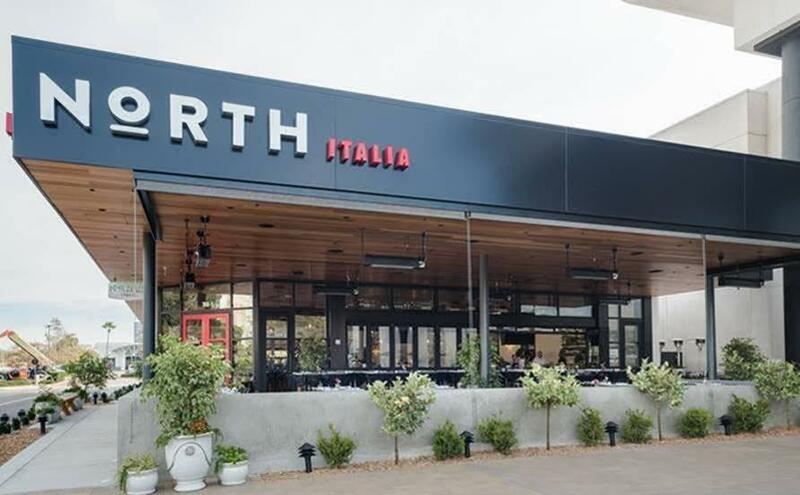 Opened in Autumn 2018, North Italia Fashion Valley, operated by restaurateur Sam Fox, is part of a local coalition that includes sister restaurants, Blanco Fashion Valley and Flower Child Del Mar. The Mission Valley locale features an 8,500 square-foot space with an open exhibition kitchen, overseen by executive chef and former Top Chef competitor Rich Sweeney. Lunch includes handmade pizza and salads like the Prosciutto Pizza topped with mission fig, goat cheese and arugula; a Seasonal Vegetable Salad now featuring butternut squash, cauliflower and a white balsamic vinaigrette drizzle; to small plates like the Burrata with date conserva, roasted pistachio and crispy pancetta all atop grilled bread. Dinners feature main entrées like Grilled Branzino, with Cipollini onion, fennel and broccolini, that can be paired with a specialty, hand-shaken cocktail or a glass of wine from our extensive list. Diners can complete their meal with one of North’s homemade Italian desserts like the Salted Caramel Budino topped with crème fraiche and maldon sea salt. Brunch options include Aperol Spritz to complement any dish like the Short Rib Hash, served with sweet onion, roasted pepper and two fried eggs and the Baked French Toast with vanilla maple syrup and fresh berries. Monday 3-6pm: $5 glasses red wine, white wine, sangria, all beers, $10 pizza, $16 wine bottles and beer pitchers, $25 Bottle & Board (bruschetta or chef’s board paired with a bottle of red or white wine. Tuesday 3-6pm: $5 glasses red wine, white wine, sangria, all beers, $10 pizza, $16 wine bottles and beer pitchers, $25 Bottle & Board (bruschetta or chef’s board paired with a bottle of red or white wine. Wednesday 3-6pm: $5 glasses red wine, white wine, sangria, all beers, $10 pizza, $16 wine bottles and beer pitchers, $25 Bottle & Board (bruschetta or chef’s board paired with a bottle of red or white wine. Thursday 3-6pm: $5 glasses red wine, white wine, sangria, all beers, $10 pizza, $16 wine bottles and beer pitchers, $25 Bottle & Board (bruschetta or chef’s board paired with a bottle of red or white wine.